We offer alcohol from Poland, Italy, Germany, Spain, Portugal, Netherlands, Belgium, Ukraine, Russia, Moldova, Argentina, Macedonia, Greece and Chile. Toruń’s Cherry Liqueur is made of ripe cherries which matured in oaken vats, following the traditional, family-owned recipe of Dr Grzegorz Russak. It is a wonderful gift of nature stored in a beautiful decanter. Toruń’s Chokeberry Liqueur would not have its rich taste and aroma but for chokeberries which, covered with alcohol, matured in oaken vats for several months and lent the alcohol their valuable features. Enjoy this refined beverage made according to the traditional recipe of Dr Grzegorz Russak. Toruń’s Black Currant Liqueur contains the rich aroma and taste of black currants – a truly valuable fruit – which matured in oaken vats in our distillery. The production of this remarkable beverage was closely supervised by Dr Grzegorz Russak – the eminent expert in the Old-Polish art of liqueur-making. 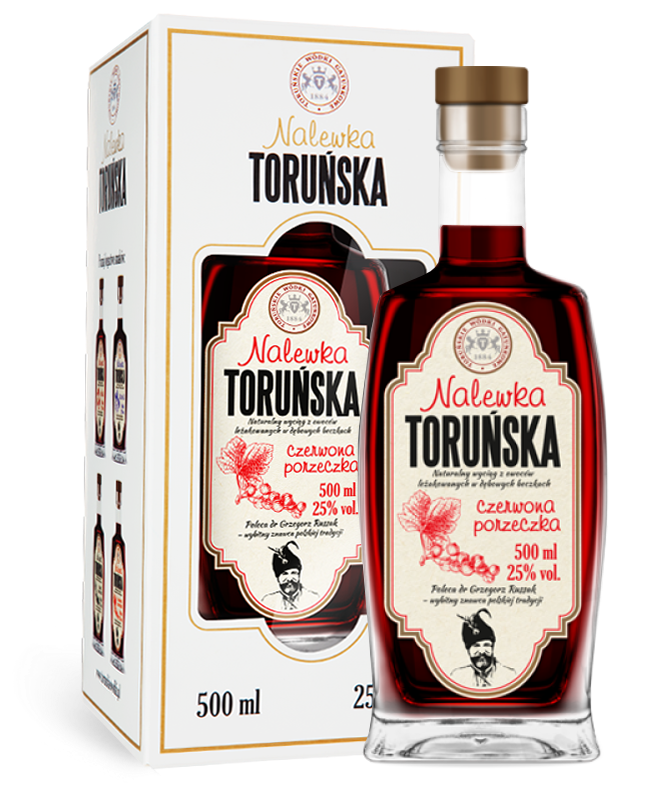 Toruń’s Red Currant Liqueur has all of the best qualities of red currants stored in the bottle; red currants were macerated in oaken vats and lent their taste and aroma to the alcohol. 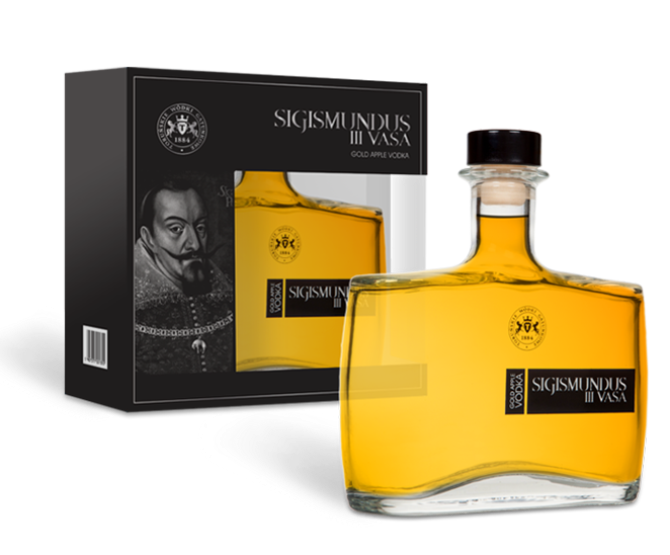 The beverage is made according to an old recipe handed down from generation to generation in the family of Dr Grzegorz Russak. This is traditional plum vodka with a rich aroma and taste acquired from plum distillate after long maturation. Its taste captivates; its alcoholicity impresses. It ideally subscribes into the long and rich history of plum brandies in Poland. This grape vodka – a historical branded liquor of Torun’s distillery – is produced following our old checked recipe. 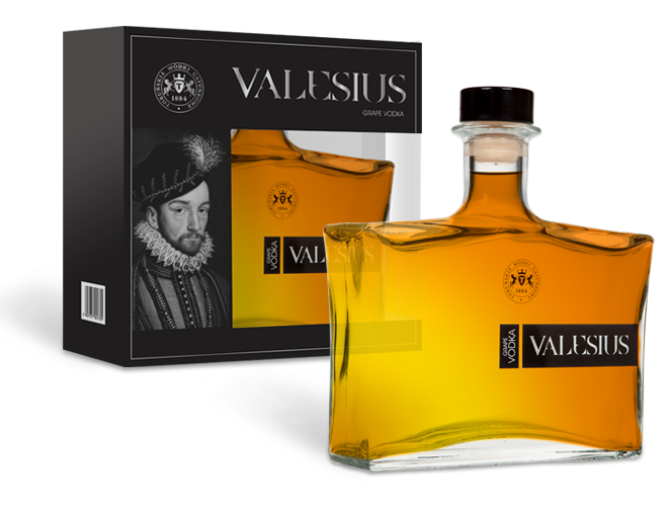 The secret of its taste and aroma hides in high-quality wine distillate from sunny Moldova. This is a mixture of history, taste and lushness worthy of a king. This traditional apple vodka is made according to an old, strictly-confidential, own recipe based on high-quality mature apple distillate. Our experience in alcohol production, carefully selected ingredients and a well-thought-out composition are the factors determining its unusual taste and aroma. „LEMONCELLO” – Alc. 21% by vol. „PUNCH AL MANDARINO” – Alc. 30% by vol. „RATAFIA” – Alc. 21% by vol. „FRAGOLINO” – Alc. 23% by vol. „LIQUORIZIA” – Alc. 30% by vol. „GENZIANA ELISIR DI VINO” – Alc. 25% by vol. „GENZIANA RISERVA” – Alc. 25% by vol. „GENZIANA GRAN RISERVA” – Alc. 25% by vol. „GRAPPA” – Alc. 40% by vol. „GRAPPA BARRICATA” – Alc. 40% by vol. „GRAPPA ALLA LIQUIRIZIA” – Alc. 40% by vol. „CREMA” – Alc. 17% by vol. We independently opperate a UK Bonded Warehouse. For our clients we offer the service of importing alcohol from many parts of the World to the United Kingdom. Whether you’re a national corporate business or an individual pub landlord, we have a range of exclusive brand offerings in keeping with industry trends with a uniquenessof offer, building local relationships in brand sales and long term support, these are intrinsic to our success. RODO RODO I hereby grant consent to the processing of my personal data by MGW World Ltd based in 63 Turtlegate Ave Bristol United Kingdom, in order to respond, including the preparation and submission of an offer, in case of such request. My personal data will be processed until the withdrawal of consent or for the period necessary to establish, assert or defend claims. I have the right of access to data, rectification, erasure or restriction of processing, objection, and the right to lodge a complaint with a supervisory authority, and to transfer of data to another company. Contact us to find out more about our offers and exclusive range for UK sales.